Welcome to the District of North Vancouver’s Open Data portal. Here you have access to over 170 free datasets which you can use in your printed products or online services – completely free of charge. Our datasets are updated automatically and refreshed each week. Every dataset comes with its own metadata providing valuable information on the origin, history, accuracy and completeness of the dataset. Refer to the legal page so that you understand the Terms and Conditions of Use before downloading the Open Data. A table of addresses for the District of North Vancouver. The table includes owner addresses, rental addresses, Indian Reserve addresses, and strata addresses including unit numbers. Includes both active and inactive addresses. Linear features that represent backstop structures in District of North Vancouver parks. Backstops are large fence-like structures used in baseball. Linear features depicting existing and proposed bike routes in the District and City of North Vancouver. These routes are coincident with the centerlines of streets. Attributes include relative grade and adjacent road information. The area depicting the official jurisdictional boundary of the District of North Vancouver. This boundary is defined through metes and bounds as described in the 1926 North Vancouver District Municipality Extension of Boundaries Bylaw #601. This feature class represents the boundary for the District of North Vancouver in 1900. This information is derived from a combination of factual mapping evidence augmented by best estimate methods where needed. This feature class represents the boundary for the District of North Vancouver in 1910. This information is derived from a combination of factual mapping evidence augmented by best estimate methods where needed. The boundaries for Burrard, Seymour, and Capilano Indian Reserves, which serve as administrative boundaries. These boundaries are defined by the federal government of Canada, Department of Indian Affairs and Northern Development. The areas depicting the official jurisdictional boundary of each city and municipality within Metro Vancouver. These boundaries provide context regarding the District of North Vancouver's location within Metro Vancouver. A table which is used to link the buildings feature class to the properties feature class. This table lists the number of buildings on a given property. Additionally, this table can list which properties do and do not have a building. Foundation outlines of buildings within the DNV. All primary building types are included such as residential, commercial, and institutional. Secondary structures like garages are not included. Date, type, population, and ownership included. Linear features representing bus routes in North Vancouver. These routes are coincident with the centerlines of streets. This feature class also includes information on the buses that travel each route. Linear features representing bus routes in North Vancouver. Lines have been purposely spaced out to reveal the individual bus route and are not coincident with street centerlines. Includes information on the buses that travel each route. Point locations representing public transit bus stops that are located in the District of North Vancouver. Attributes include Translink bus stop number, pole, shelter type, routes serviced, and more. A table containing the properties in the District of North Vancouver which have a park or road bylaw associated with them. Included in this table is the bylaw number. 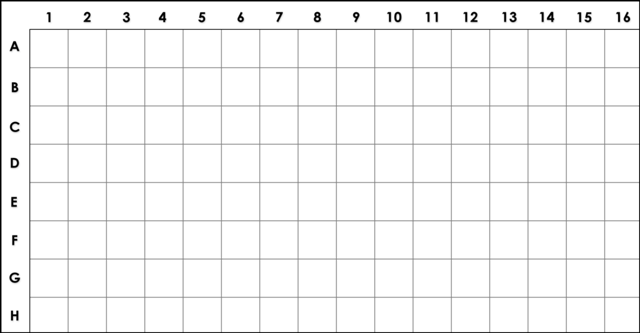 Table of statistical information collected for the 1971 census by Statistics Canada. This table combines thematic information taken from the 20 and 100 percentile surveys and is categorized spatially by District of North Vancouver neighbourhoods. Table of statistical information collected for the 1976 census by Statistics Canada. This table combines thematic information taken from the 20 and 100 percentile surveys and is categorized spatially by District of North Vancouver neighbourhoods. Table of statistical information collected for the 1981 census by Statistics Canada. This table combines thematic information taken from the 20 and 100 percentile surveys and is categorized spatially by District of North Vancouver neighbourhoods. Table of statistical information collected for the 1986 census by Statistics Canada. This table combines thematic information taken from the 20 and 100 percentile surveys and is categorized spatially by District of North Vancouver neighbourhoods. Table of statistical information collected for the 1991 census by Statistics Canada. This table combines thematic information taken from the 20 and 100 percentile surveys and is categorized spatially by District of North Vancouver neighbourhoods. Table of statistical information collected for the 1996 census by Statistics Canada. This table combines thematic information taken from the 20 and 100 percentile surveys and is categorized spatially by District of North Vancouver neighbourhoods. Table of statistical information collected for the 2001 census by Statistics Canada. This table combines thematic information taken from the 20 and 100 percentile surveys and is categorized spatially by District of North Vancouver neighbourhoods. Table of statistical information collected for the 2006 census by Statistics Canada. This table combines thematic information taken from the 20 and 100 percentile surveys and is categorized spatially by District of North Vancouver neighbourhoods. Table of statistical information collected for the 2011 census by Statistics Canada. This table includes information from the mandatory 100 percentile survey and is categorized spatially by District of North Vancouver neighbourhoods. Table of statistical information collected for the 2016 census by Statistics Canada. This table combines thematic information taken from the 25 and 100 percentile surveys and is categorized spatially by District of North Vancouver neighbourhoods. A table containing details of all buildings that serve as a place of worship. This table consists of the name, denomination, and rooms for each building. Lines joining points of equal elevation. These contour intervals are 1 meter and are generated from digital elevation models. Lines joining points of equal elevation. These contour intervals are 10 meters and are generated from digital elevation models. Lines joining points of equal elevation. These contour intervals are 100 meters and are generated from digital elevation models. Lines joining points of equal elevation. These contour intervals are 20 meters and are generated from digital elevation models. Lines joining points of equal elevation. The contour lines exist for all parts of the North Shore and beyond but not including the District and City of North Vancouver. Lines joining points of equal elevation. These contour intervals are 5 meters and are generated from digital elevation models. Linear features that depict the centerline of creeks and rivers. Only surficial, natural waterways are depicted as creeks and rivers. Linear features depicting specific roads in the District of North Vancouver that have been designated for the transport of dangerous goods. These routes are coincident with the centerlines of streets. Debris, or alluvial, fans are locations of gravel deposits that have eroded from mountainous terrain. These polygons represent both the location and the general shape of these geographic features. Polygon representations of semi-elevated, constructed walking surfaces. These decks are also known as boardwalks or wooden walkways and exist mainly in District parks. Areas which divide the District of North Vancouver into two main regions: the developed region to the south and; to the north the undeveloped, or alpine, region. Development permit areas authorized under the Municipal Act relating to creek hazards. All subject developments or construction falling within a development permit area are subject to the guidelines of that area. Development permit areas authorized under the Municipal Act relating to energy conservation and emission reductions. All subject developments or construction falling within a development permit area are subject to the guidelines of that area. Development permit areas authorized under the Municipal Act relating to structue form and character. All subject developments or construction falling within a development permit area are subject to the guidelines of that area. Development permit areas authorized under the Municipal Act relating to the natural environment. All subject developments or construction falling within a development permit area are subject to the guidelines of that area. Development permit areas authorized under the Municipal Act relating to the slope hazards. All subject developments or construction falling within a development permit area are subject to the guidelines of that area. Development permit areas authorized under the Municipal Act relating to streamside protection. All subject developments or construction falling within a development permit area are subject to the guidelines of that area. Development permit areas authorized under the Municipal Act relating to wildfire hazards. All subject developments or construction falling within a development permit area are subject to the guidelines of that area. Linear features representing roads designated as Disaster Response Routes. During a disaster the use of these routes is restricted thereby allowing emergency vehicles free ease of travel. These routes are coincident with the centerlines of streets. District lots are large parcel lots which are the first subdivisions of a township or district. District lots are usually further subdivided into smaller lots for the purposes of sale and subsequent land development. Provincial Electoral Districts depict the boundaries of the Provincial ridings which encompass portions of the District of North Vancouver. Areas were defined by Elections BC and relate to the 2008 Election. An inventory of fences. These linear features are typically, though not always, found in parks and in some cases near building structures. Locations of protective fibre optic ducts. These ducts are empty and currently do not contain fibre optic lines. Conduits only. Active fibre optic infrastructure consisting of the fibre optic line, typically contained within a fibre optic duct. Active fibre optic infrastructure consisting of the fibre line connecting a structure to the main fibre trunk. Typically contained within a fibre optic duct. Soccer, baseball, football and other sport fields located within District of North Vancouver parks. These fields are typically grass, all-weather, or artificially surfaced. Areas delineating the extent of responsibility for each fire hall. Fire zones are further subdivided into subzones and cover the entire North Shore. Homes within these areas have limited water supply, limited access and/or extended response times by Fire Services and therefore require a sprinkler system to be installed. Areas designated to the collection of solid waste. The DNV is responsible for the weekly curbside collection of solid waste. The District is divided into 5 zones. Solid waste is collected from one zone each day. An inventory of gates located on District of North Vancouver owned land. Depicted as point features, gates are typically found in parks, parking areas and access roads. The gate material is included as part of this data set where it is known. Point locations representing helicopter landing sites. These locations are either natural clearings or man-made landing pads. Mainly located in the alpine area where emergency access is limited. Used primarily by North Shore Search and Rescue. Points representing locations of significant historical events by type and date. These events mostly occurred within the District of North Vancouver but some significant events to the DNV are located outside today's jurisdictional boundary. Point features that represent irrigation systems in District of North Vancouver parks. The point is merely representative as the location of the specific irrigation components is not available. An inventory of islands that occur in oceans, lakes and rivers throughout Metro Vancouver. Areas of dry or relatively dry land completely surrounded by water or low wetland. An inventory of lakes that occur throughout Metro Vancouver. Landlocked bodies of water typically fed by streams and creeks. This polygon feature class depicts the general use of land on the North Shore. The land is categorized as either park, commercial, industrial, or other land. This feature class represents the land use for the District of North Vancouver in 1890. This information is derived from a combination of factual mapping evidence augmented by best estimate methods where needed. This feature class represents the land use for the District of North Vancouver in 1900. This information is derived from a combination of factual mapping evidence augmented by best estimate methods where needed. This feature class represents the land use for the District of North Vancouver in 1910. This information is derived from a combination of factual mapping evidence augmented by best estimate methods where needed. This feature class represents the land use for the District of North Vancouver in 1920. This information is derived from a combination of factual mapping evidence augmented by best estimate methods where needed. This feature class represents the land use for the District of North Vancouver in 1930. This information is derived from a combination of factual mapping evidence augmented by best estimate methods where needed. This feature class represents the land use for the District of North Vancouver in 1940. This information is derived from a combination of factual mapping evidence augmented by best estimate methods where needed. This feature class represents the land use for the District of North Vancouver in 1950. This information is derived from a combination of factual mapping evidence augmented by best estimate methods where needed. This feature class represents the land use for the District of North Vancouver in 1960. This information is derived from a combination of factual mapping evidence augmented by best estimate methods where needed. This feature class represents the land use for the District of North Vancouver in 1970. This information is derived from a combination of factual mapping evidence augmented by best estimate methods where needed. This feature class represents the land use for the District of North Vancouver in 1980. This information is derived from a combination of factual mapping evidence augmented by best estimate methods where needed. This feature class represents the land use for the District of North Vancouver in 1990. This information is derived from a combination of factual mapping evidence augmented by best estimate methods where needed. This feature class represents the land use for the District of North Vancouver prior to 1890. This information is derived from a combination of factual mapping evidence augmented by best estimate methods where needed. A table containing the registered legal description of properties in the District of North Vancouver. Included in the table are the property ID, assessment folio, block, lot, plan and legal description plus other property information. Marine navigational lighthouses as depicted by a point location. These lighthouses are located in the Burrard Inlet and include locations from North Vancouver to West Vancouver. Point features that represent park lighting systems in District of North Vancouver parks. The point is merely representative as the location of the specific lighting system is not available. Point features that represent fixed District litter bins. These litter bins come in many varieties including bear secure bins and pole mounted garbage containers. Lot lines interconnect fixed property pins to form a legal parcel. The accuracy of lot lines depends on the accuracy of the property pins. Lot lines can be used to determine bearings and distances (lot dimensions). Grid reference polygons used for mapping specific areas. Each grid measures 1600m x 1000m and is alpha-numerically identified. These grids extend across the developed region of the District. Areas that act as traffic dividers. These can be long linear structures dividing highways, avenues, or boulevards or they can be larger areal surfaces found around intersections and exchanges. Names and locations of naturally occurring features located within the District of North Vancouver. This inventory includes such features as cliffs, shores, mountains and waterfalls, for example. Areas depicting community neighbourhoods. Used for planning and reference purposes, neighbourhoods aggregate up to Official Community Plan (OCP) areas, which in turn comprise the District's the three main planning areas. This feature class consists of all oceans, bays, coves and inlets in the Metro Vancouver region. The edges of the ocean polygon act as the shoreline for the District of North Vancouver. The Official Community Plan which dictates public policy for transportation, utilities, land use, recreation, and housing in the District. Adopted in 2011, this spatial representation of OCP bylaw 7900 contains subsequent amendments. A component of the District's OCP Bylaw 7900 which was adopted in 2011, these areas depict approximate locations for potential future roadways. A component of the District's OCP Bylaw 7900 which was adopted in 2011, these boundaries depict the general areas which are slated to undergo detailed planning studies in the future. A component of the District's OCP Bylaw 7900 which was adopted in 2011, this boundary depicts the maximum allowable extent of urban development. It was developed in accordance with Metro Vancouver's Regional Growth Strategy. Aerial photographs of the District of North Vancouver which have been geometrically corrected (orthorectified). This colour imagery, acquired in spring 2009, has a pixel resolution of 10cm and covers the developed portion of the DNV. Aerial photographs of the District of North Vancouver which have been geometrically corrected (orthorectified). This colour imagery, acquired in spring 2013, has a pixel resolution of 10cm and covers the entire DNV. Urban: May 3rd; Alpine: June 15th. Areas reserved for vehicular parking. Parking lots include both dedicated areas, either paved or unpaved, and dedicated roadside parking in road allowances on paved streets. Linear features that show roadside parking restrictions in effect. Restrictions include no stopping, no parking, resident parking only, 15 minute, 30 minute, 1 hour, 2 hour, and other restrictions. Details of days/times in effect are also included. Naturally designated park and recreation areas in the DNV. Includes not only dedicated and non-dedicated parks by name but greenbelts and other green spaces reserved for park and recreation use. Regardless of ownership, all parks included. An inventory of bridges used by pedestrians located on DNV owned land. These polygon features are classified by their construction material type and are located both in alpine recreational areas and in developed neighbourhoods. Planning Areas are unique regions which reflect common public policy for transportation, utilities, land use, recreation, and housing. Each area reflects an unique form and character for current and future land use. A table of playground equipment, or distinct playground assets. This inventory of playground equipment includes swings and other play structures. This table links to the Playgrounds feature class. Features that represent playground areas in DNV parks. Playground areas are represented by polygons and include the area and the surface type of the playground. Points representing significant tourism and special interest locations. Included are most galleries, marinas, golf, recreation, vistas, beaches, shopping areas and other attractions. A raster dataset indicating population density as calculated from 2006 Census data. These polygons represent the areas defined by the first three digits of the postal code, called forward sortation areas. Properties, or parcels, in the DNV. A parcel is a unit of land under unified ownership. The parcel contains a unique identifier, the area, and method of data entry. Each parcel subsequently links to an official property record. Representative points for each parcel of land. The parcel point is located at the geometric center of the parcel polygon. Parcel points are a proxy for parcel polygons and link to various tables in the GIS. A table containing properties in the DNV with their aggregated owner types. Because there can be many owners and owner types for one property, this table has aggregated all owner types into one classification for quick reference. Linear features depicting railroad tracks in the District of North Vancouver. Includes all tracks including spurs, sidings, and trunk lines. This point feature contains a collection of various recreational-type assets found in parks throughout the District of North Vancouver. The assets in this feature class include park benches, picnic tables, and water fountains for example. An inventory of retaining walls located on District of North Vancouver owned land. These linear features are collected based upon their significance in size and purpose. The wall material is included as part of this data set where it is known. Linear representation of locations where rip rap has been placed. Rip rap is rock, or similar material, used to protect shorelines, river banks, etc. against erosion. Polygon features that show the wetted width of creeks and rivers. Only the larger and more significant creeks and rivers have their wetted with represented as polygons. 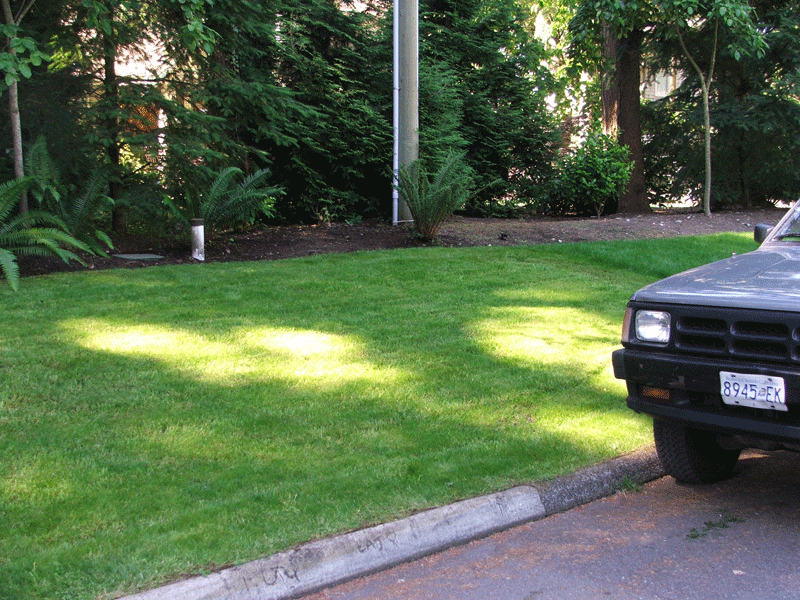 Drivable surfaces, or roads, used for vehicular traffic in the District of North Vancouver. Roads are classified by type and are segmented by the date which they were paved. Sanitary mains that have been left in the ground where they are no longer used in the Sanitary system. They have been replaced by new sanitary mains which have been installed. Point features which represent facility structures that serve the sanitary sewer system (primarily lift stations). Lift stations handle raw sewage fed from gravity pipelines which lift the sewage upward through a pressurized pipe (force main). Point features which represent various fittings that serve the sanitary sewer system. These fittings include caps, curb stops, manholes, inspection chambers, plus various main and service connection fittings. The extent of land where sanitary sewer is lifted to a higher elevation via a lift station. These areas represent sanitary sewer catchments for parts of the District of North Vancouver. Sanitary Sewer Mains are linear features which represent the interconnecting main pipes in the sanitary sewer network. Attributes such as pipe material, diameter, and installation date are included. Linear features which represent the lateral pipe that runs from a property to the main and typically connects a structure, such as a house, to the main pipe of the sanitary sewer network. The School District defines catchment areas for students attending both elementary and secondary schools. A single elementary catchment feeds one elementary school. Multiple elementary catchments feed a single secondary school. This linear feature represent the route taken by Translink's Sea Bus which crosses the Burrard Inlet from North Vancouver to Vancouver. The sea bus is a passenger and cyclist marine vessel that is part of the Metro Vancouver transit system. The District is divided into three distinct service areas: Capilano, Lynn Valley, and Seymour. Some District staff are assigned to a specific service area where they work exclusively. Linear features which represent the centerline of sidewalks. Sidewalk centerlines can be used to determine the linear distance of sidewalks currently in the District of North Vancouver. Polygons depicting pathways designed for pedestrian traffic usually adjacent to a road. Typically concrete installations, sidewalks are divided into segments based upon the date which they were installed. Areas derived from contour ranges that are used to regulate the structural pitch of a roof. Structures located at higher elevations are required to be built with greater roof slopes to prevent excess snow from affecting roof stability. This point feature contains a collection of various sport-type assets found in parks throughout the District of North Vancouver. The assets in this feature class include bleachers, dugouts, and goal posts for example. This polygon feature class includes all of the sports surfaces, excluding fields, found in the District of North Vancouver. These sports surfaces include tennis, lacrosse, and basketball courts for example. Locations of pertinent spot height observations, typically occurring at natural features such as mountain peaks and prominent clearings. Point features depicting the location of District owned stairs. The number of stairs is included as part of this data set where it is known. These point features merely indicate the location of a staircase. Points which represent catch basins and lawn basins. These features collect surface drainage water where it then enters the storm sewer system. Catch basin leads are small pipes that connect catch basins and lawn basins to the storm sewer system. These linear features are short pipes that have been estimated for the purposes of connecting basin features to main features. Culverts are hydraulic structures of relatively short length designed to pass water through an embankment (e.g. road, property, dike) to protect roads and properties from water damage. They are usually constructed of concrete, metal, or plastic materials. These are linear features that participate in the storm sewer system. Drains are considered to be sub-mains, or secondary pipes, that transfer drainage water either to a larger main or into a creek. Point features which represent facility structures that serve the storm sewer system (lift stations). Storm Lift stations act as pumps and force storm water from gravity pipelines upward through to a pressurized pipe (force main). Storm Sewer Mains are linear features which represent the interconnecting main pipes in the storm sewer network. Attributes such as pipe material, diameter, and installation date are included. Linear features which represent the lateral pipe that runs from a property to the main and typically connects a structure, such as a house, to the main pipe of the storm sewer network. Points which represent storm sewer structures. Oil and grit chambers act as a trap for oil and grit and allow for its removal at specific locations. Energy dissipators are devises that dissipate the gravitational force of water in the storm system. Linear features representing roads that have been granted permits for full or partial road closures, or will have temporary obstructions, or roads that will serve as detour routes during road closures. Linear features depicting the centerline of all streets within the District and City of North Vancouver, West Vancouver, Bowen Island and Lions Bay. Streets are classified by their size and traffic load and are geocoded to facilitate address searches. Point locations of all street intersections on the North Shore. These points have been generated wherever Street Centrelines intersect and contain the names of all intersecting streets. These points are coincident with the centerlines of streets. Linear features that represent the location of street lighting wiring encased in a conduit. These lines represent the power supply for the street lighting network. Street lighting network features including service panels, boxes, caps and kiosks. These features represent various fittings that are part of the street lighting network. Street light poles, or standards, that are both owned and maintained by BC Hydro and by the District of North Vancouver. These street lights are typically mounted on wooden poles or metal ornamental poles. A non-spatial table containing all official streets in the District of North Vancouver. This list is automatically generated based on the District's property record system but moderated manually by the GIS department. An inventory of trees, typically located along roadsides, which were planted by the District of North Vancouver for the beautification of boulevard areas. This feature class represents the streets in the District of North Vancouver in 1890. This information is derived from a combination of factual mapping evidence augmented by best estimate methods where needed. This feature class represents the streets in the District of North Vancouver in 1900. This information is derived from a combination of factual mapping evidence augmented by best estimate methods where needed. This feature class represents the streets in the District of North Vancouver in 1910. This information is derived from a combination of factual mapping evidence augmented by best estimate methods where needed. This feature class represents the streets in the District of North Vancouver in 1920. This information is derived from a combination of factual mapping evidence augmented by best estimate methods where needed. This feature class represents the streets in the District of North Vancouver in 1930. This information is derived from a combination of factual mapping evidence augmented by best estimate methods where needed. This feature class represents the streets in the District of North Vancouver in 1940. This information is derived from a combination of factual mapping evidence augmented by best estimate methods where needed. This feature class represents the streets in the District of North Vancouver in 1950. This information is derived from a combination of factual mapping evidence augmented by best estimate methods where needed. This feature class represents the streets in the District of North Vancouver in 1960. This information is derived from a combination of factual mapping evidence augmented by best estimate methods where needed. This feature class represents the streets in the District of North Vancouver in 1970. This information is derived from a combination of factual mapping evidence augmented by best estimate methods where needed. This feature class represents the streets in the District of North Vancouver in 1980. This information is derived from a combination of factual mapping evidence augmented by best estimate methods where needed. This feature class represents the streets in the District of North Vancouver in 1990. This information is derived from a combination of factual mapping evidence augmented by best estimate methods where needed. This feature class describes the general distribution of surficial geology in North Vancouver. An Updated dataset was acquired from Natural Resources Canada in 2014. Survey monuments are fixed brass markers that are used as geodetic control points for the purposes of surveying properties. Survey monuments have been acquired from Metro Vancouver and reflect the new coordinate calculations as part of the CSRS system. Flat tidal areas comprised of fine grain muds, silts, and clays that are exposed between the mean low water line and the shoreline. Linear features that represent the location of traffic signal wiring encased in a conduit. These lines represent the power supply for the traffic signal network. Traffic signal network features including service panels, boxes, loops and controllers. These features represent various fittings that are part of the traffic signal network. Traffic signal standards that are owned and maintained by the District of North Vancouver. These traffic light standards can house many traffic components such as overhead signals, signs, and crosswalk controllers. Trails that are maintained by the DNV and are sanctioned for public use. These are known trails on the North Shore, Bowen Island and in Lions Bay. Most trails have been collected through GPS survey. Linear features depicting routes travelled by trams, cable cars, and chair lifts in the District of North Vancouver. Trams transport visitors and equipment whereas chair lifts refer to the lift systems found on ski resorts. A transmission tower is a tall steel lattice structure used to support overhead transmission lines. Typically transmission towers are located in right of ways. Polygon features representing vehicle bridges and vehicle overpasses located in the District of North Vancouver. These features are classified by their construction material type, date built and ownership. Linear features depicting specific roads in the District of North Vancouver that have been designated as unsuitable to heavy vehicles. These routes are coincident with the centerlines of streets. Point locations representing sources of water as well as processing facilities. The types of features include pump stations, treatment plants, reservoirs, and water tanks. Point features which represent various fittings that serve the water system. Included are main, service connection, and stub fittings plus caps. Main fittings include crosses, tees, couplers, reducers, date changes, and a 300m pipe length restriction. Point locations representing fire hydrants that are within District road allowances. There are devices capable of providing large amounts of water quickly to aid in fighting fires. Hydrants are categorized by their type. Water Mains are linear features which represent the interconnecting main pipes in the water network. Attributes such as pipe material, diameter, and installation date are included. Polygons which represent areas of typically consistent and constant water pressure. These water pressure Zones are uniquely labeled and contain no other attribute information. Linear features which represent the lateral pipe that runs from a property to the main and typically connects a structure, such as a house, to the main pipe of the water network. Pipe which supplies water to a structure. Linear features representing segments of pipe which connect fittings, such as hydrants and valves, to a water main. Types of stubs include air stubs, blow off stubs, and hydrant stubs. Point features which represent any of a variety of valves that participate in the water network. Valves typically are used to control the flow of water or to vent off air. An inventory of wharves located in the District of North Vancouver. Wharf features exist where platforms are built out from shore into the water and are supported by piles. Provides access to marine vessels. Regulatory areas controlling the use of land within the District of North Vancouver as defined in the District's Zoning Bylaw 3210. Zoning regulates development factors such as structure type, density, height, lot size, placement, and other standards.